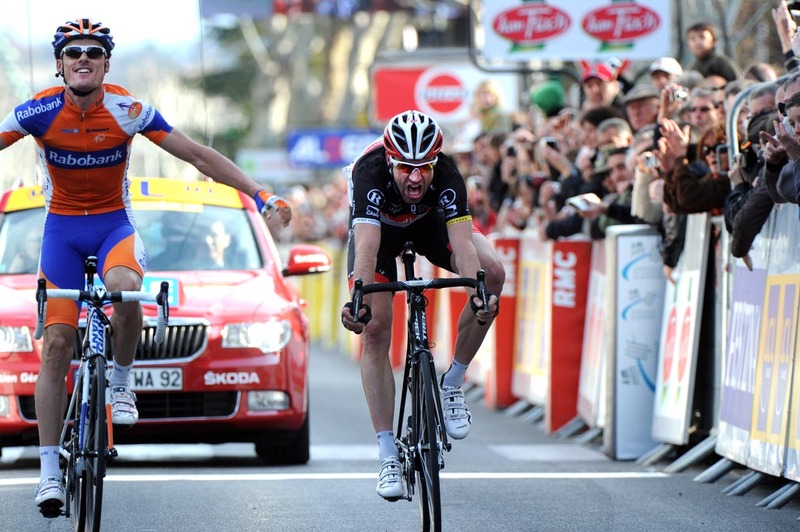 Rabobank rider Luis Leon Sanchez pipped Jens Voigt for victory in the sixth stage of Paris-Nice on Friday afternoon. Originally part of the day’s six-man breakaway, Sanchez split the group over the day’s final climb, a dozen kilometres out. Popular veteran Voigt was the only man who could keep up to fight it out in the streets of Sisteron. but canny Sanchez timed his effort right to take his fourth Paris-Nice stage win by half a wheel. 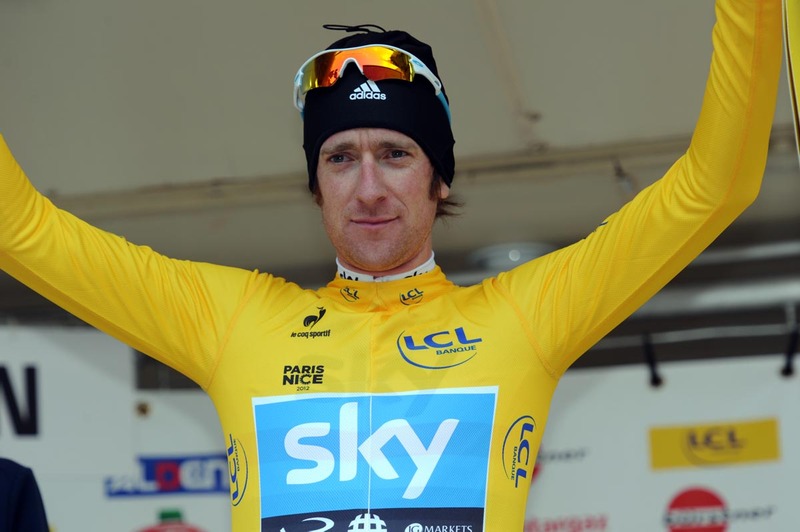 Bradley Wiggins finished in the main bunch, fourteen seconds behind, to preserve his lead. However, Team Sky were made to work hard throughout the hilly stage to negate the danger of 2009 winner Sanchez (Rabobank), who sat 3-51 behind the Briton in the morning. Racing in the foothills around majestic Mont Ventoux, a rapid early pace briefly split the bunch during the first hour of racing. Alejandro Valverde (Movistar) found himself left behind, before a regrouping. Tomorrow’s penultimate seventh stage covers 219.5 kilometres from Sisteron to Nice. The last climb, the first-category Col de Vence, is topped 55 kilometres out before a long downhill sweep onto the finish on the Promenade des Anglais in Nice. 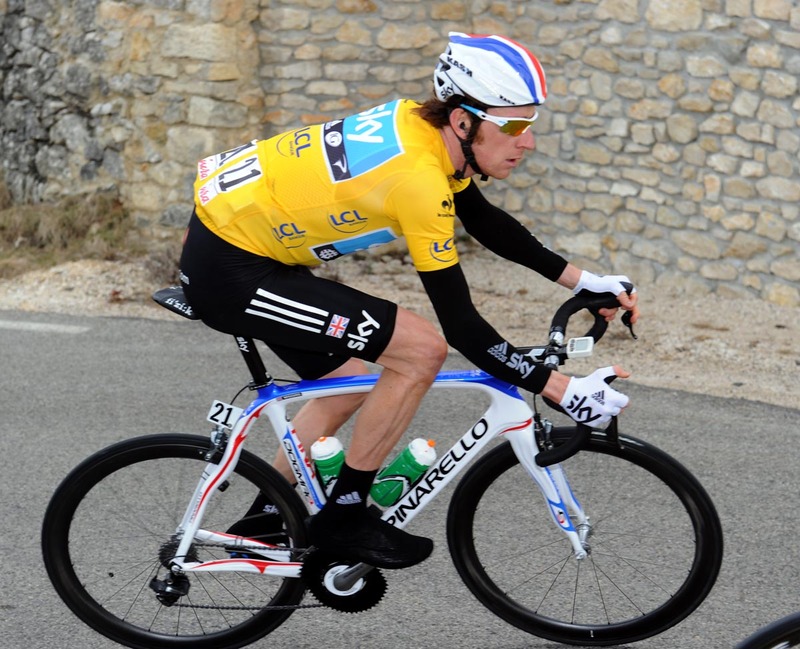 If that goes to plan, all that stands between Bradley Wiggins and Paris-Nice victory is Sunday’s time-trial up the Col d’Eze.